Its no secret I am a gamer and I am a very proud geek, so when I discovered a website a few months ago that promised to send me epic gamer geek goodies every month I was ecstatic… until I realized that they don’t ship to Jamaica. So for month and months I wished and hoped that one day I would have a loot crate to call my own, that day has finally come. But before I go into that. In a nutshell Loot Crate is a monthly subscription service where you spend about US$20 including shipping on a box filled with geek/gamer loot under a particular theme. With a subscription comes a chance to win a “Mega Crate” a $250 treasure trove that bound to give the lucky recipient one of the most memorable geekgasms. For the life of me I am unable to beat Guile’s top score in Space Invaders. Can you? Which Crate did I get? My first and only loot crate so far is the April 2013 crate which was under the theme “Token”. In it I got a few items that reminded me of the good old days of the video game arcade. 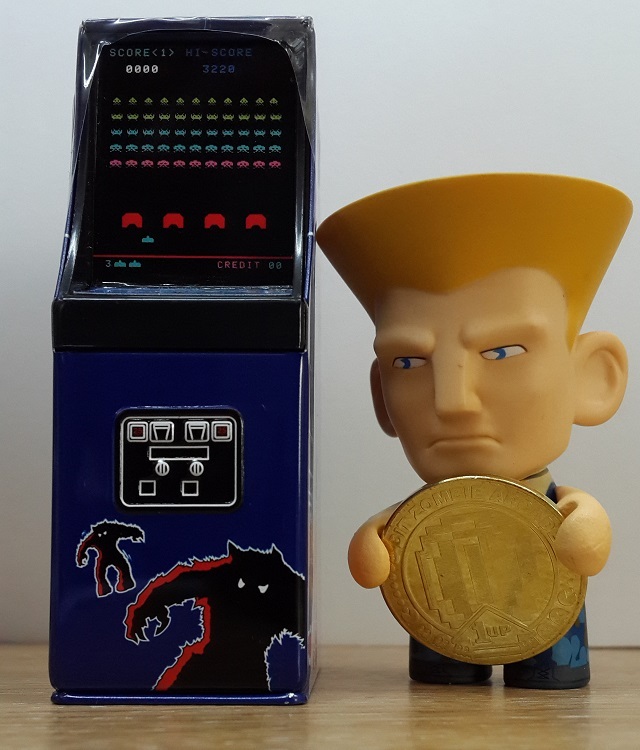 Items covering Space invaders, Street Fighter, an arcade token, Mario and candy. I liked my first loot crate but I honestly think it could have been a little better, however for $20 plus an extra $5 to have a courier ship to me in Jamaica I cannot complain. I am already looking forward to May 2013’s loot crate which seems to be RPG related and under the theme “Equip”. Loot Crate April 2013 Unboxing Video! What did I get in my crate? In my April 2013 crate under the theme “Token” I got. Random Poll: Blanka vs Zangief – who do you think would win? 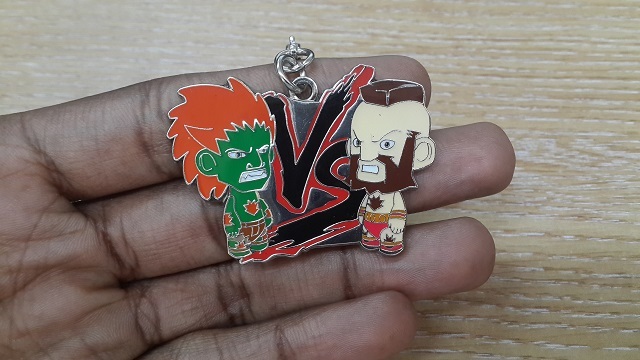 Who do you think would win in a brawl between Blanka and Zangief? Vote in the poll below and tweet me @Jamaipanese to share your answer and I’ll do the same! Loot Crate - August 2013 - "CAKE"
Loot Crate - March 2014 - "Titan"
Oh lord… Do I get to play with them when I come back? I remember playing with game tokens at the arcade. This seems like a pretty good service. It’s sort of like playing a gamer’s lottery, but no one goes home empty handed. I’m about to move to a new apartment that could use a few gamer’s items to liven it up. I hear that. Over the next month I’ll be spending a ton of cash on ‘home improvements’, including locks and gates on the windows. Hey! awesome blog! I happen to be a daily visitor to your site (somewhat more like addict :P ) of this website. Just wanted to say I appreciate your blogs and am looking forward for more to come! Why isn't the woman who falsely accused him and ruined his life going to be prosecuted? exactly False accusations should be severely punished – but we have the opposite – we have aggressive lawyers and feminists telling women they were raped because, for example, they had too much to drink and upon more sober thought, regret their actions.